With the current cold snap pushing in on the Midwest and Eastern United States it is very important that you watch your Dogs and other pets very closely so that they don’t become sick from overexposure to the elements. Cold weather can be just as hard on pets as is it on people. Sometimes pet owners forget that indoor pets are just as acclimated to the indoors as they are. Some owners leave their pets outside for extended periods of time thinking that all animals can adapt to the outdoors because they have a natural fir coat. This kind of thinking can put their pets in extreme danger of serious illness and even death. It’s true that some pets can remain outside longer in the winter time than others can. But this is NOT true for all pets! Use your common sense: long-haired breeds like Huskies and German Shepherds will do better in cold weather than short-haired breeds like Dachshunds and Dalmatians. Small dogs that have to wade through the deep snow will feel the cold sooner than larger animals. Your pet’s overall health will also affect how long it can stay out. Diabetes, heart disease, kidney disease, and hormonal imbalances can compromise your pet’s ability to regulate body heat. If your pet is not generally in good health, it should not be exposed to long periods of winter weather. Only allow them to be out long enough to do their “business” and bring them back inside. 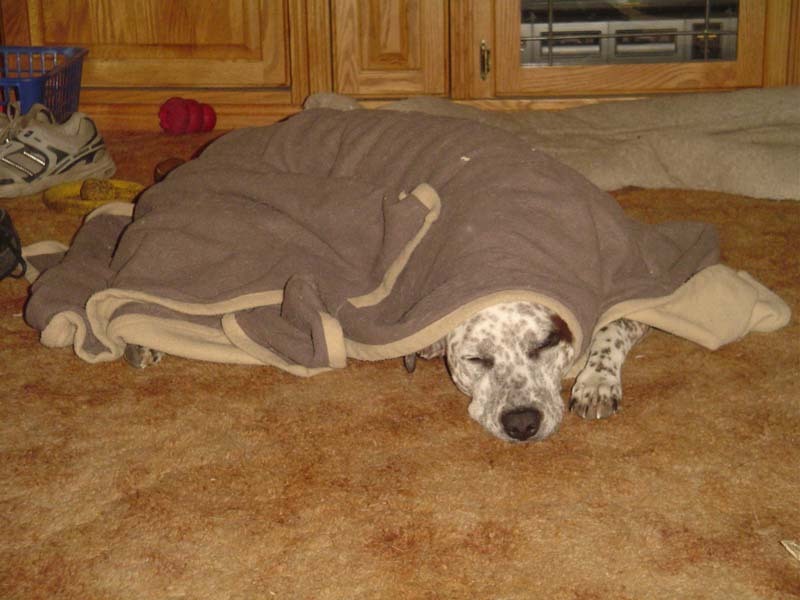 Very young and very old pets are susceptible to illness during the cold months as well. An average sized dog in normal health can feel the effects of the cold weather in as little as 10 minutes. When there are severe weather conditions that time can be easily cut in half. Frostbite can occur on a dog’s paws and noise in just a few minutes when wind chills reach below -10 degrees. A good rule of thumb is: if you are cold outside, so is your pet.